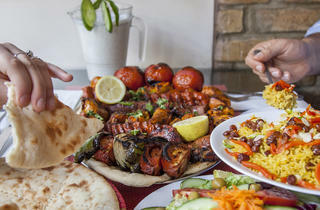 Lucky Kilburn, having this modest Afghan spot for kebabs, curries and tasty regional specials – and a BYOB policy keeps down bills. 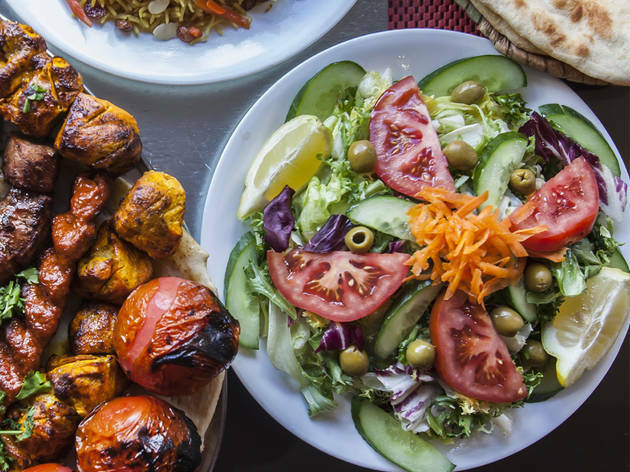 As well as being a darling of the neighbourhood, Ariana II (I is in New York, though there’s nothing Manhattan-esque here) attracts people from across London with its excellent cooking, budget prices and BYOB policy. The frontage is pretty indistinguishable from Kilburn High Road’s ranks of kebab shops; inside is a small, plain dining room with a few Afghan portraits on the walls (there’s more room in the basement). But you can be certain of a sunny welcome and swift service. 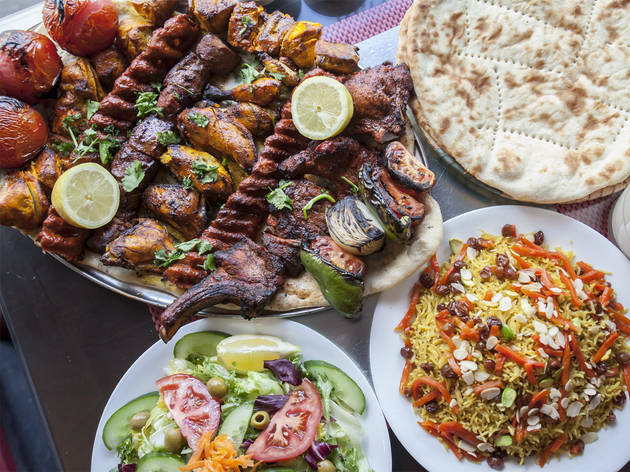 The menu reflects the multiple influences on Afghan food – from Arab lands, the Indian subcontinent and further afield in Asia. These show up in dumplings, tikkas and kebabs, but the cuisine has a unique slant too. Plump, moreish leek-filled aushak ravioli topped with ground meat and yoghurt, and warmly spiced fried pumpkin turnovers (bolanee kadoo) with a side of fiery chakni relish (also available to buy by the bottle) make ideal starters. For mains, kabuli palow (a melting, slow-cooked lamb shank buried in a mound of yellow rice dotted with pistachios and peppers) is a must. To drink, order minty yoghurt dough or freshly squeezed juices, and conclude with cardamom-flavoured tea and pastries. A treat. We went in a group of 4, 3 vegetarians and 1 meat lover. All 4 of us enjoyed the food a lot! The vegetarian food was divine. Do not miss the Pumpkin dishes. All 4 of us shared Bolanee Kadoo and Bolanee Gandana for starters. They are divine, though Kadoo was slightly better. For main course. The 3 vegetarians shared 3 choice of 2 dishes (one each of the veggie options is what we got). The best were the pumpkin curry and Okra. Our meat loving friend had the Kabuli Pillow and really liked it. One of my friends ordered the Home-made Yoghurt drink and really didn't like it. But the tea was good. The stuff are friendly and ask the lady with the scarf she knows all the good dishes. Last night was my first time trying Afghan food, and I was so thoroughly satisfied having my first meal be at Ariana! My friends who have been here at least six times already took me there, insistent that I would love it. I am a big foodie and truly enjoy different and new food experiences. Everything we had was absolutely delicious! We tried these fantastic dumplings (ausha) with minced lamb and a tomato-based sauce that I could have eaten all night! Kabuli palow was our main course, lamb shank served with a yellow rice iced with raisins and red bell peppers. Amazing! Then Te desserts came....I thought I had enough, but nope. We tried all their desserts...baklava (perfect), firnee (pudding...my favorite), and rasmalee (cottage cheese soaked in sweet milk....awesome)! On top of that, the service was genuinely friendly and quick, the restaurant decor clean and charming, and there's NO CORK SERVICE CHARGE if you want to bring your own drinks!!! I am sad that I don't live in London and can't make Ariana II a regular place to dine, but I guess I can head to their NYC location! Go and support this fantastic family-run business! Having moved to the local area recently my husband and I went to Ariana for dinner last night. I don't usually write reviews but last night's experience made me feel like doing so and especially after having read some good reviews here. The food was good but the service was a big disappointment. We had booked in advance and were made to wait while they were making a table when half of the restaurant was empty. We requested if we could sit elsewhere and were pointed to sit on one of the ready tables. We sat down and waited and waited and waited for someone to come and give us the menus. The restaurant was half empty so no excuse of being very busy. After 10 minutes a waitress did come but only to give us the glasses to drink our champagne with no sign of menu. Many people came after us and were given the menus straightaway and had started ordering their food. After 15 minutes I went upto their bar counter and asked them to give us a menu. They apologised and came with the menus. A waitress came to take our order in 2 minutes and we said we were only ready to order the starters and had not yet decided the main course. The waitress said okay I will come back in 2 minutes to take your order then. We waited and waited and after 10 minutes I had to ask her to come to take our order. The restaurant was still half empty. The starters came pretty quickly and were nice. We finished our starters and had to wait for another 25 minutes before I managed to get hold of a waiter's attention to clear our table and get our main course. She had not bothered to check if we had been served with our main course. The main course arrived eventually and was quite nice as well. But the whole experience just spoiled the mood. It was Valentine's Day last night but the restaurant was half empty and they still couldn't manage it. We over heard the table behind us complaining about the wait too. It was a very poor management and appalling customer service. Some tables were being served on time and the waiters would go and ask them about the food etc but not our side of the restaurant. Inspite of all this no one came down to apologise. We had to ask someone again to get the bill and they got a dessert as an apology. Sadly a bit too late. But when we paid the bill by a credit card they charged us a surcharge for using a credit card. We were in this restaurant for 2 hours when we could have been done in an hour. Anyway good food but APPALLING SERVICE. My family and I went to this restaurant for my mom's birthday, and the food was certainly fantastic. 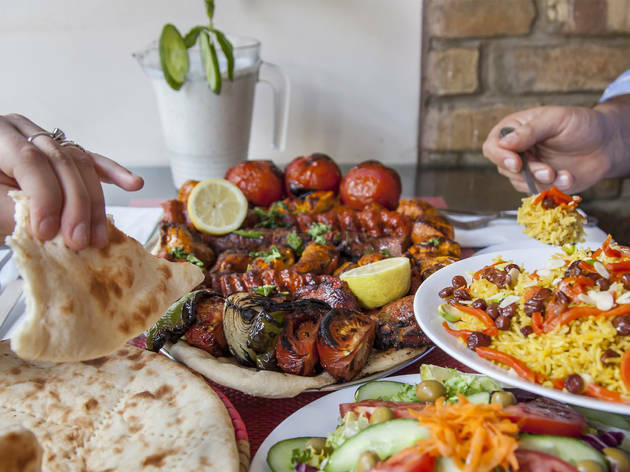 We loved the recommendations from the staff - and would definitely recommend dishes such as the pupmkin starter, aubergine starter with a naan, kabuli polow and the mixed kebab platter. 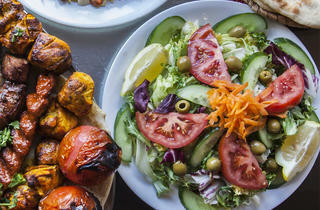 It tasted very fresh and homecooked, and the restaurant had a very authentic feel which we loved. Slightly on the outskirts of London - but I would say it's worth the travel! This place was recommended by a colleague of mine, and even though I don't normally dine in Kilburn I gave it a shot, I can happily say That I am regular now, love it. The tender lamb and steam cooked pastry are terrific. Delicious food and the waitress is lovely! The mashed pumpkin is so delicious and the staff ridiculously warm and friendly. This place is absolutely great. 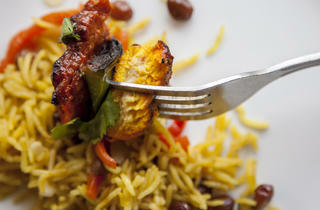 They have reasonably priced, fresh and delicious food - and the best thing about this place is the Homemade Chakni. Everytime I'm in London I try to buy some (it comes in small and large bottles), you can carry the magic around with you forever. 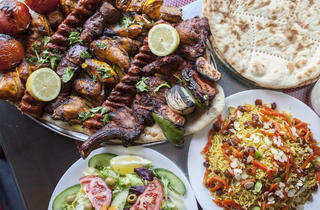 Proper Afghani food. The staff are amazing. Food portions are great. You feel like you are home. 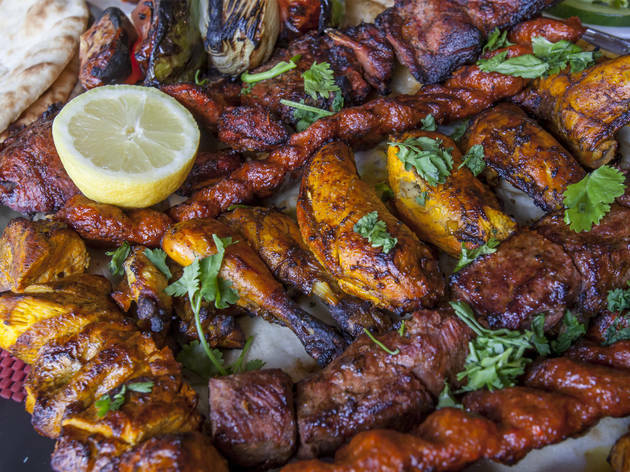 Great place for authentic afghan food. Spent a day in Kilburn last week and was introduced to this restaurant by one of my sons. He had spoken very highly of this restaurant on many occasions before. The food and ambiance was excellence. Such a diverse taste of food which really wetted the palate. We were not disappointed. Would certainly return. We must have been unlucky on our visit to this often-praised Kilburn restaurant. I'd seen it up at the top of Time Out's Cheap Eats list so many times that it had been on my 'To Eat' list for years, but we found it tasty and affordable, but nothing to write home about. Service was 50/50 - a charming lady was very apologetic when our food took more than 25 minutes to arrive. The man who'd taken our order was surly, slow and unresponsive. I'd return if in the area but there are plenty of neighbourhood restaurants that meet these standards in London. Oh my goodness the food here is so delicious- and so cheap! 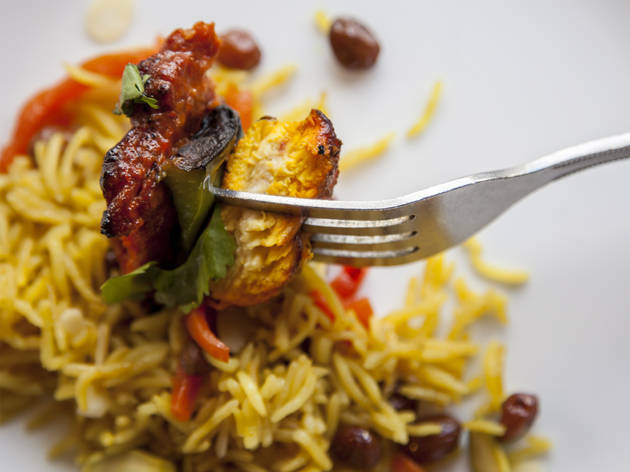 You can easily order 3 courses for under £20. I had pumpkin parcels to start, melt in the mouth lamb with sweetly spiced rice, and the pannacotta to finish. The service was friendly and I cannot wait to go back! The food was awesome! 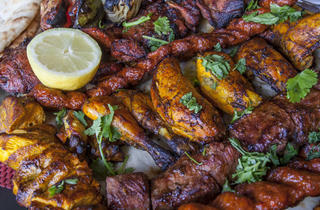 Loved the kebabs - in fact all the food was delicious and fresh. My only complaint is that we went on a Saturday night when it was extremely busy and had to wait about an hour to get our food. Probably better to go on a weeknight when it is less hectic. This was my first time at Ariana ll with my cousin and my little nephew . Ohh boy I can't tell you how great it was to be there. I've been to a lot of afghani restaurants and have never seen such a fantastic service especially the way they entertain my little nephew because he was not in a good mood but they made he's night a great night great lady. The food was excellent thumbs up especially the mantu dish I loved it also the mix kabab was really good. I recommend Ariana ll to every one its a fantastic restaurant good people special thanks to the lady and gentlemen keep it up.